Turning a favorite pizza into a pasta bake is easy to do in minutes. Chicken, cheese, and pizza toppings is a favorite meal in our house. It's sure to become a favorite in yours. Place the onion, green pepper, mushrooms, garlic and butter in a skillet and saute for 2 minutes. Stir in the flour and cook for another 2-3 minutes. Whisk in the chicken broth. Stir until the broth thickens slightly. 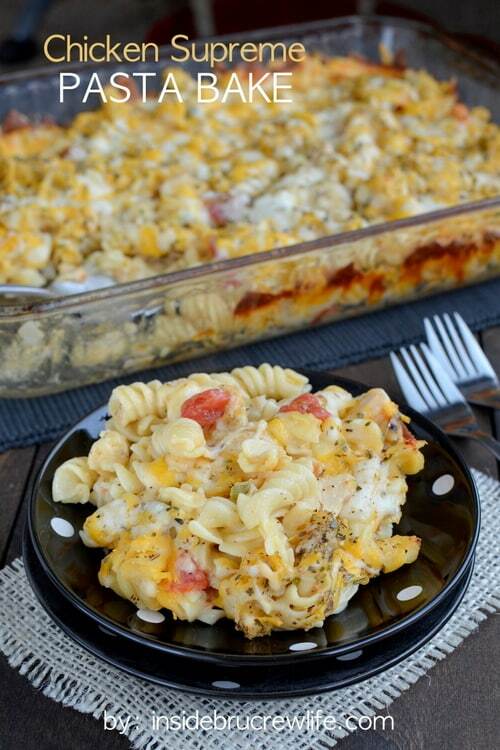 Visit Chicken Supreme Pasta Bake @ insidebrucrewlife.com for full instructions.